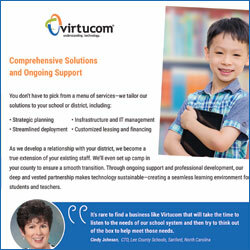 "Personally, I look at my relationship with Virtucom as part of our school system." Virtucom has developed strong business partnerships with companies such as Cisco, HP, IBM, Intel, Lenovo, Lexmark, and Microsoft in addition to many others. Our long-standing relationships with these major manufacturers allows us to provide the best hardware and software to meet your immediate and long-term needs. 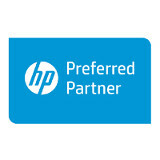 Our premier status with many of our partners affords us special price discounts that we can extend to your school. Additionally, our staff is expertly trained and certified on all product lines.